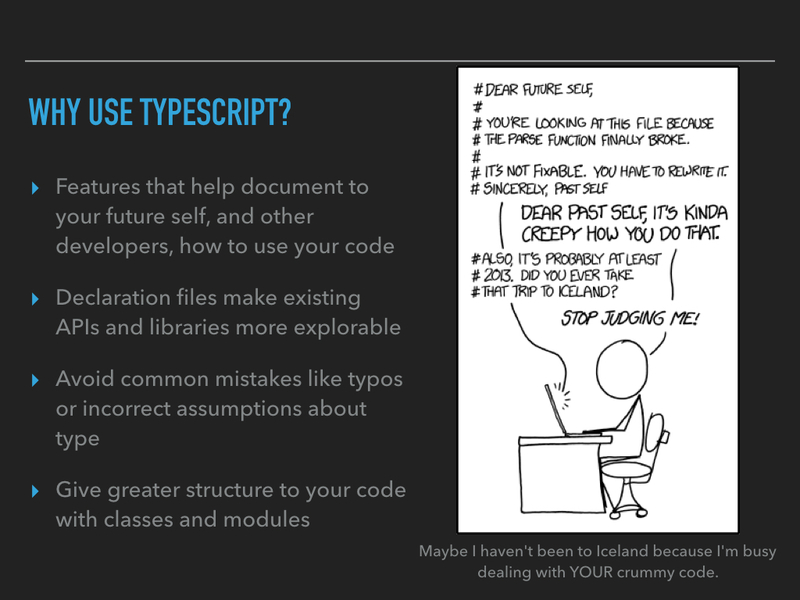 In this video, Claire Dranginis explains what TypeScript is and how it can help you organize your code and make it more understandable for your future self and other developers. 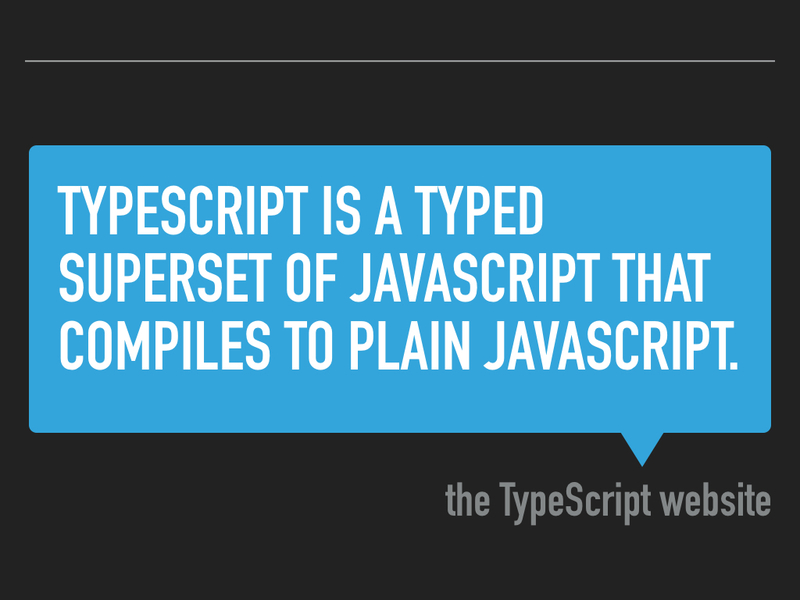 Claire gives examples of static typing in TypeScript as well as creating classes and modules. 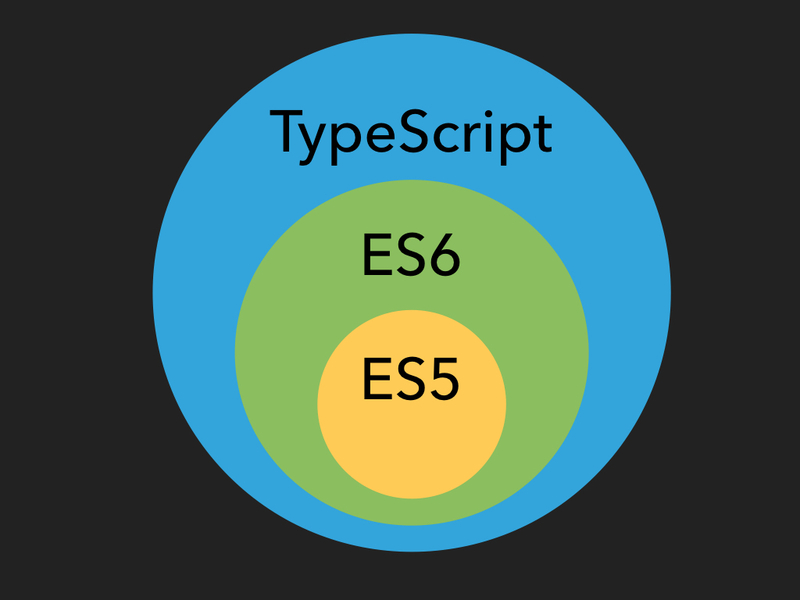 She also shows off some of the perks of using TypeScript in the Visual Studio Code editor.